Hey there, marketer! A few quick questions for you: Are you using Twitter hashtags correctly? Are you using them to your best advantage? Are you using them at all? If the answer to any of the above is “no” or, perhaps, “I’m not sure,” then keep reading. For publishers (really, for everyone) tapping into trending Twitter hashtags is one of the most important things you can do to boost engagement. Think of Twitter hashtags as a social conversation monitor: What most interests Twitter users? More importantly, what most interests your Twitter followers (or would-be/should-be followers)? And, perhaps most important of all, what is Twitter talking about right now? Welcome to Twitter trending hashtags: #HotTopics that the Twitterverse is discussing this day, this hour, this minute. Because that’s how Twitter works. First up, what’s a hashtag and why do they matter? Hashtags weren’t always a thing. But in 2007, the content game changed forever with the introduction of the Twitter #hashtag function – essentially, keywords that enable Twitter users to follow a topic or category discussion, without having to follow every user discussing that topic or category. Let’s round it out with an example: Let’s say you’re interested in the upcoming U.S. Midterm Elections (go vote!). Instead of having to follow every news outlet and politico on Twitter, you can simply follow (or just keep an eye on) the hashtags, #MidtermElections or #Midterms. It’s almost a chicken-or-egg scenario, because, while Twitter came before the hashtag, Twitter was almost created for the sole purpose of hashtags. Because Twitter is about what’s happening now, what people want to talk about now – and hashtags make it so much easier. Hashtags mark a crucial path between your brand and your target audience: they’re on point, on topic, and on trend for what your audience wants, exactly when they want it. Why should marketers (yes, you) use hashtags? Let’s work backwards: If hashtags allow Twitter users to follow posts on topics of interest, even from users whom they do not follow, then hashtags make it possible for your #hashtagged posts to reach Twitter users who do not follow you. So, what are “trending hashtags”? Just as they sound, Twitter trending hashtags are hashtags that are currently running viral, to some extent. In other words, these are hashtags you’ll want to jump onto, stat! There’s no point in using Twitter hashtags if nobody is searching for that hashtag. And yes, in some cases, you may be able to brand your own hashtag, but that’s a topic for another post. Bottom line: Twitter trending hashtags are your “in” to the social conversations that matter. Climb aboard those trending topics. Make them work for your brand. And while you’re at it, check out Twitter’s own tips on recurring hashtag trends that will take your brand or company to the next conversation level. Because if you’re not conversing, there’s no reason to be on Twitter. Beyond simply perusing the top 20 trending hashtags that Twitter serves you, how can you dig deeper and discover slightly more obscure, but still trending hashtags important to your brand? First, if it makes sense for your brand, hop onto weekly recurring hashtags like #MotivationMonday (content that inspires you/will inspire your audience) and #TuesdayThoughts (deep thoughts, often on current events, introspection, or even humorous topics). Whatever you do and however you do it, always relate your post back to your brand: Show off your sense of humor, equate your brand to the topic, and/or showcase your brand values. Be sure to tailor your hashtag use in a way that will resonate with your audience. Remember – there’s no point in jumping on a trend if that trend makes no sense for your brand or audience. Now go forth and get researching! May the trends be with you. 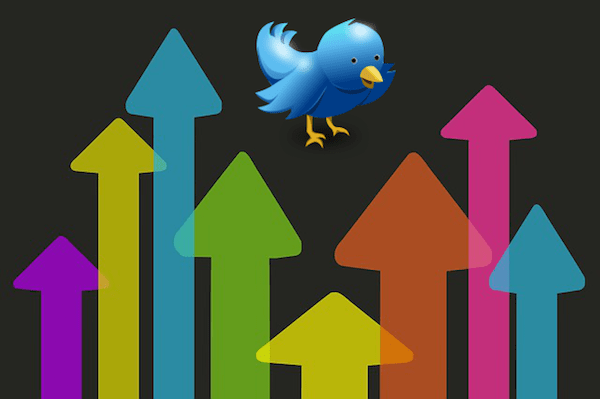 Want to grow your Twitter following effortlessly? Now that you’re nearly an expert at Twitter trending hashtags, you’re brainstorming how to use the most popular to your greatest advantage. While you’re in the Twitter headspace, don’t forget to promote your brand’s account! The ShareThis Twitter follow button is a perfect tool to boost Twitter followers and encourage engagement, and it’s also mobile optimized, lightweight, and easy to configure and install. Check it out!